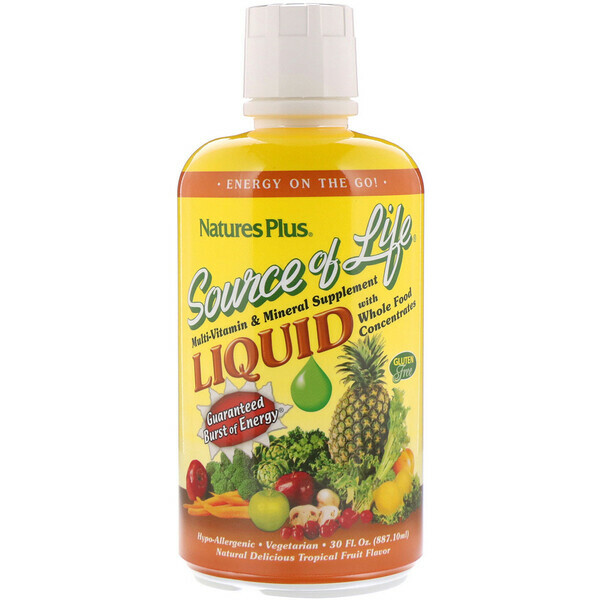 Source of Life Liquid is an incredible breakthrough in liquid nutrition that combines the revitalizing benefits of vitamins, minerals, whole foods, essential fatty acids, Korean ginseng and bioflavonoids for total well-being. Each drop is then fused with Source-70 Whole Food Complex, supplying more than 70 soluble whole food trace elements plus the comprehensive phytonutrient goodness of spirulina. Source of Life Liquid is perfect for those individuals who cannot swallow tablets or capsules or anyone seeking a quick energy boost. Shake well. 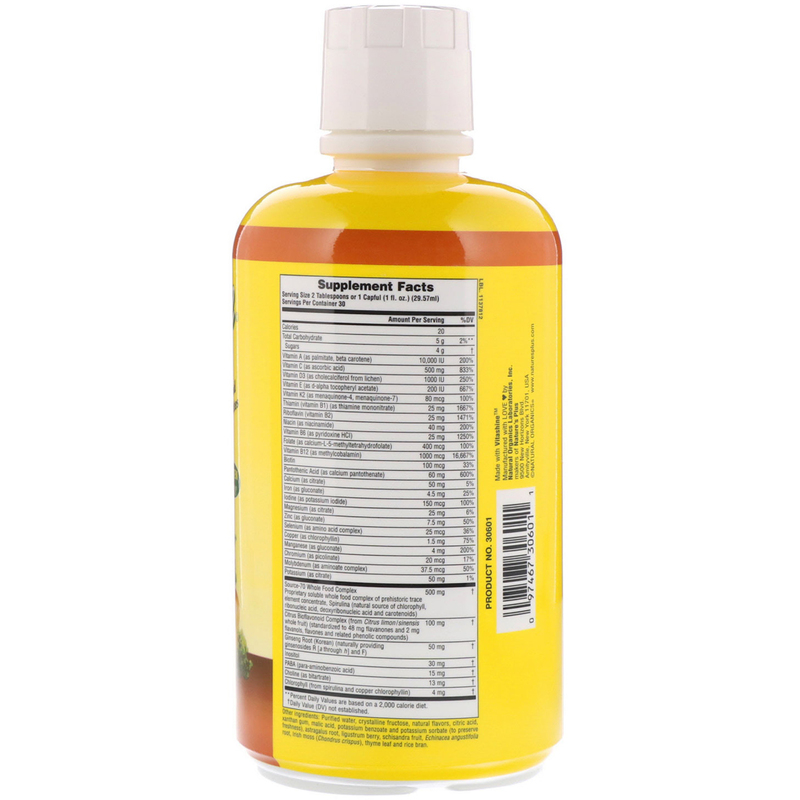 As a dietary supplement, two tablespoons or one capful (29.57 ml) once daily. Delicious, refreshing, tasty flavor can be enjoyed straight from the bottle or mixed with your favorite beverage. Purified water, crystalline fructose, natural flavors, citric acid, xanthan gum, malic acid, potassium benzoate and potassium sorbate (to preserve freshness), flax seed, astragalus root, ligustrum berry, schisandra fruit, young barley leaf, echinacea angustifolia root, Irish moss (chondrus crispus), thyme leaf and rice bran.